My First Galaxy Manicure! - Polish Etc. These are my first galaxy nails, so bear with me. I got a little crazy with the colors! 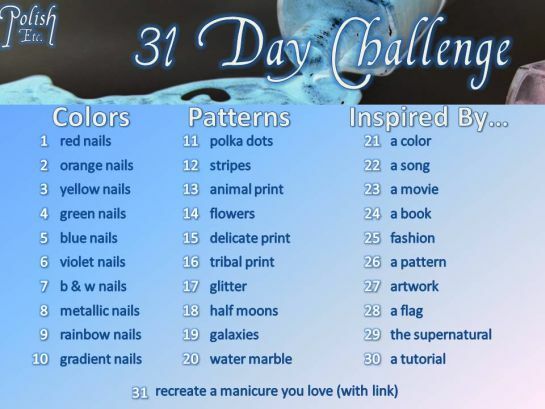 Instead of galaxy nails this reminds me more of a nebula (the clouds where stars are formed) because it's a little over-done. I honestly couldn't tell you what colors I used. Polish seems to accumulate on my desk and I just grabbed the colors I wanted that were sitting on my desk (a little blue here, a touch of orange, some silver for the stars.. etc.) but I know that I started with Soflajo True Death as the base. Not being a huge fan of black nails I thought I would really be happier with True Death since it's a dark brownish color, but it just added to the nebula look rather than galaxies. I still like how this turned out and I can't wait to try it again! Make sure you click read more and check out all of the galaxy nails that are more awesome than mine!